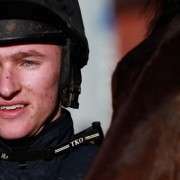 The list of high-profile contenders who are missing out on this year's Grand National race continues to grow, as Vics Canvas becomes the latest ride to be withdrawn prior to the race. Last year's third-place finisher in the Aintree showcase will not be competing on April 8th after suffering an issue while at Fairyhouse earlier this month. The 14-year-old horse that surprised many at 100-1 odds in last year's spectacle now faces an uncertain future as owners and trainers decide whether or not to retire the horse. 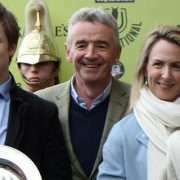 Trainer Dermot McLoughlin said that this new issue will signal an end to the horse's season at the very least. 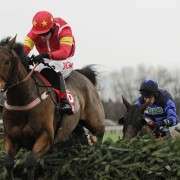 He said: “He's not going to make Aintree, we've run out of time with him. McLoughlin also indicated that this year's race may have been Vics Canvas' last chance to compete in the world-renowned spectacle. Part-owner Gary O'Brien gave further insight into the horse's injury and said that the owners are now considering their options. 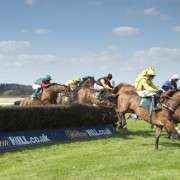 This latest withdrawal follows controversy around the Gigginstown Stud, who have refused to send several of their contenders to Aintree due to a dissatisfaction with handicapping. There have also been a number of Gold Cup performers who have backed out of the race due to potential fatigue. One excellent prospect who will definitely run in the Grand National is Saphir Du Rheu. After an impressive fifth place finish in the Cheltenham Gold Cup, Sam Twiston-Davies has decided to take the ride. 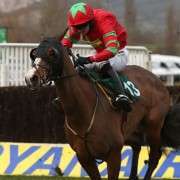 He told the Mirror: “He got into a lovely jumping rhythm in the Gold Cup and looks a well-handicapped horse. He's got form round the Grade One tracks and he jumped from fence to fence the day he won at Aintree. Vicente Aims To Give Owner Hemmings A Grand Victory The Last Samuri: Can He Go One Better This Year?